Anyone in charge of washing the dishes after dinner is all too familiar with how tedious this task is. Everyone gets to sit back and relax, while you're standing on your feet scrubbing and drying the mess. The Wdt780Saem dishwasher by Whirlpool makes this chore a lot easier on you. It does the work for you since you don't have to pre-rinse the dishes beforehand. All you have to do is place the dishes in the machine and push start. The dishwasher operates quietly and is an Energy-Efficient dishwasher as well. You no longer have to stand at the sink washing the mess away. The dishwasher will do the hard work for you. And, it will do so a lot more efficiently by getting rid of stuck-on messes and grease. So, enjoy the evening with the rest of the family, and let the dishwasher handle the chores for you instead. Whirlpool is one of the leading manufacturers of dishwashers, and home appliances. The company originates in Benton Harbor, Michigan, dating to 1911. In its many years, the Wdt780Saem is just one of many dishwashers the company manufactures for its customers. Advances in technology and simple designs are some of the aspects which set the brand apart from competitors. The Eco-efficient operation, simple technological advancements, and continual improvements are the cornerstones of the company's product line. With over a century in business, the company is a leader in the dishwasher, and washer and dryer industry. 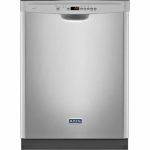 Homeowners can rely on quality, reliability, and efficiency of the Wdt780Saem, and other dishwashers the company manufactures. When comparing the Whirlpool Wdt780Seam with other dishwashers, comparing features and usability are essential factors to consider. As a homeowner, it is necessary to purchase a machine that is easy to operate and also efficient. Regardless of size, or the frequency of use, the dishwasher should have features which enhance operability. These are a few of the design aspects manufacturers introduce in the Wdt780Saem dishwasher. The dishwasher offers five different wash cycles for homeowners to select. These are normal, sensor wash, heavy (one-hour), clean setting, and soak option. Depending on the number of place settings, a heavy or sensor wash may be the best option. The dishwasher does lack a top or bottom only cycle wash. However, it does feature a special spray wash on the utensil tray. This spray also removes food that is in crevices of forks and knives, resulting in a deep cleaning action. The dishwasher also features two drying modes. The Wdt78Saem has an air dry or heat dry setting. Depending on whether it is a top or bottom-heavy cycle, each dry setting offers distinct benefits. It is also a good idea to try both modes, to learn which dries bowls and plasticware better. 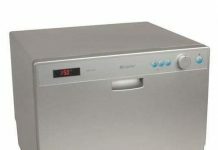 The Wdt78Saem dishwasher has a size of up to 15 place settings. There are two adjustable racks in the dishwasher. It also has adjustable tines, and the homeowner can fold down the shelves. It is also possible to adjust the interior setting for awkward or larger items. This design allows users to utilize the space in the Wdt780Saem best when drying several items. With adjustable racks, users can easily modify the internal space, to fit more dishes. If hosting a dinner party or washing several dishes after meal prep, this is a nice feature. Fold down tines are also present in the Wdt780Saem. For large bowls or larger cups/ plates, this is a significant design aspect. It allows owners to modify the internal capacity, to adjust for specific items they're washing. It also makes it easier to fit more pieces in the Wdt780Saem dishwasher at once. So, it also reduces wash cycle times and eliminates the need to run two individual cycles. 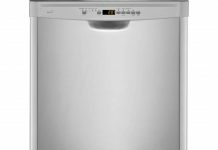 There are several great features on the Wdt780Saem Whirlpool dishwasher. One of these is the child lock feature. To use these feature owners have to select the "child lock" button, and hold it for three seconds. Owners can just as quickly turn the feature off. If there are kids in the home, this is a nice feature to use while the machine is in operation. An Eco-friendly operation, allowing owners to run the machine during non-peak hours reducing energy consumption. Like every dishwasher and appliance, there are some great features and drawbacks to consider with the Wdt780Saem. Understanding operability, ease of use, and the pros and cons will help consumers choose the best model. Before investing in the Wdt780Saem by Whirlpool, it is also important to consider the drawbacks. There are several great features, but some drawbacks to consider when comparing the Wdt780Saem to other dishwashers. Homeowners must consider these, and also the price and overall appearance, to eventually find the best model to buy. 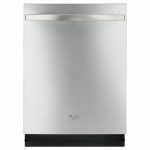 We review the Wdt780Saem with other Whirlpool dishwashers to help consumers find the best model. In our review, we rely on customer ratings. Doing this provides actual accounts of how the product works, from people who own it. We also review price points to help consumers find a model within their budget. Our review also details the appearance, finish, and materials. 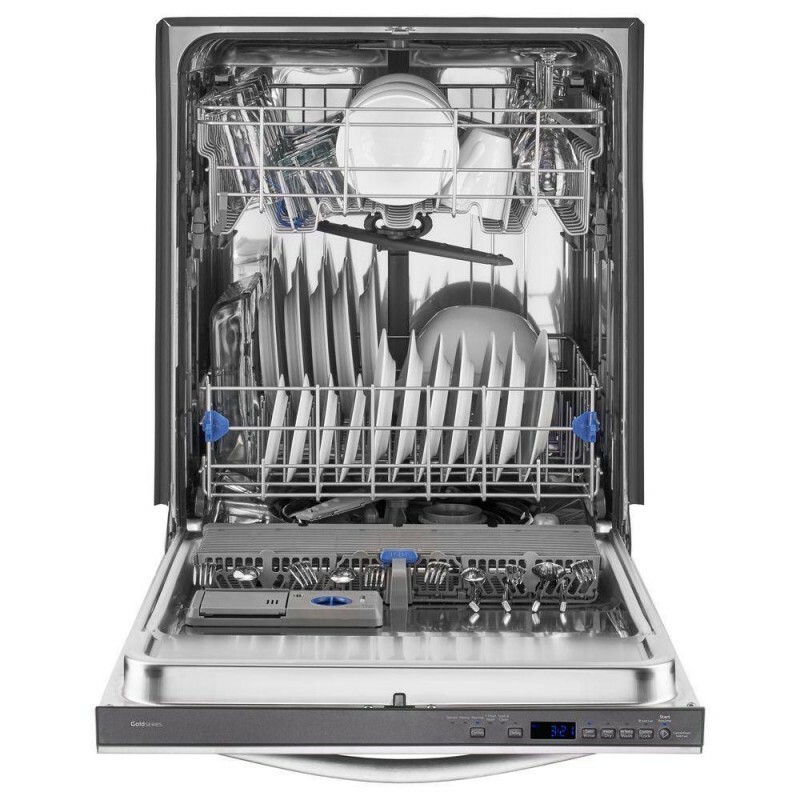 These factors help homeowners choose between the Wdt780Saem or another model dishwasher for their home. The Whirlpool Wdt78Saem is available with several retailers. Home Depot, AJ Madison, and also Best Buy, carry this model. It is also available on the Whirlpool website. Availability and color options cause disparities in the cost. Therefore, it's essential to compare different retailers, to find the best prices for the Wdt780Saem. Whether homeowners choose to have, the dishwasher installation was done by a professional also impacts the dishwasher's pricing. With several Whirlpool dishwashers to compare, it is a good idea to consider the Wdt78Saem against other models. Homeowners should consider more than one model to find the best fit for use in their home. Not only regarding cleaning capacity, but also the prices, features, and ease of use. Comparing different Whirlpool machines gives consumers a better idea of which is best for their family's needs. These are some of the best options available. That is true regardless of which technologies or advancements consumers are looking for in a machine. The top button control, built-in dishwasher, has a finger resistant stainless steel finish. Dirty fingerprints are not visible on the machine, even if several greasy hands are touching it. It is quiet, operating at 47 dBA, which is quieter than the Wdt780Saem model. The dishwasher has several sensor cycle settings. So, it also adjusts depending on the number of dishes inside the machine during the wash cycle. This design also helps increase energy efficiency and reduce wash cycles. 20 jets target stuck on food, so no pre-rinsing is necessary either. This dishwasher has a one-hour and sensor cycle modes. It also has a built-in silverware tray on the front interior wall of the dishwasher. The dishwasher features an Energy Star certification and a soil sensor. It automatically adjusts the wash cycle time, to remove stuck on or hard to reach foods. It features an adjustable upper rack that owners can move two inches up or down, to fit more items. Some reviewers indicate it is still necessary to pre-rinse before using the machine. Especially for sauces or other foods which are tough to remove. Many also note that even using the dry heat cycle, dishes still come out wet after the machine stops. 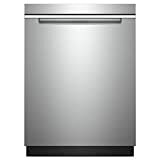 Another great Whirlpool model is this 24-inch dishwasher. The tall-tub has a monochromatic machine all stainless steel finish. It features a front-touch panel, making it easy to adjust the settings on the dishwasher. The device has fewer place settings than the Wdt780Saem model, with a total of 14 settings. It also has fewer wash cycles, with four. The operation noise is approximately 55 dBA, which is quiet, but relatively louder than newer models. 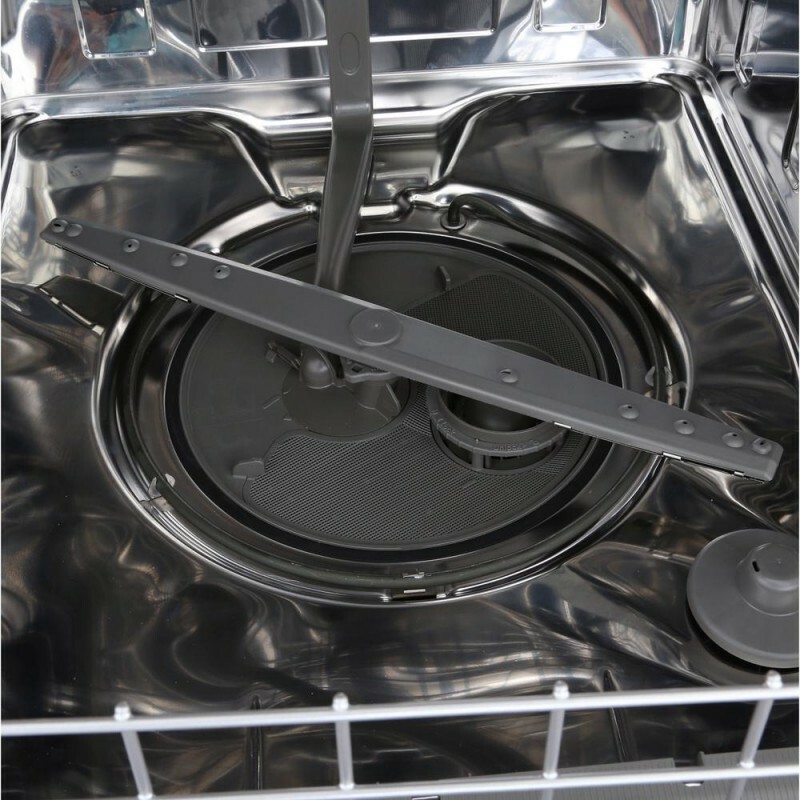 The dishwasher also features an interior plastic finish, making it safe to put all dishes in the machine. Reviewers appreciate the low entry price for this dishwasher, by a reputable manufacturer in Whirlpool. It features an AnyWare silverware tray on the interior, front wall of the dishwasher. The dishwasher is easy to adjust, to create more internal space for plates, and other items as well. It also features an Accusense soil sensor. What this does is automatically changes cycle times, for plates/dishes which aren't as dirty. This aspect helps increase the efficiency of the machine while in operation also. The interior is plastic. It causes a harsh odor, especially if the machine remains wet after dry cycles. The device only features four cycles, which is fewer than the Wdt780Saem. It is also louder while in operation and takes longer to dry dishes. 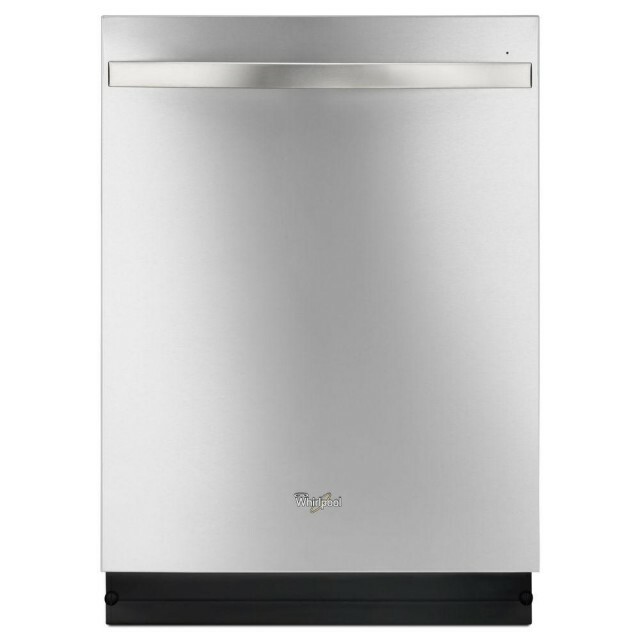 The dishwasher features a stainless steel exterior and interior. 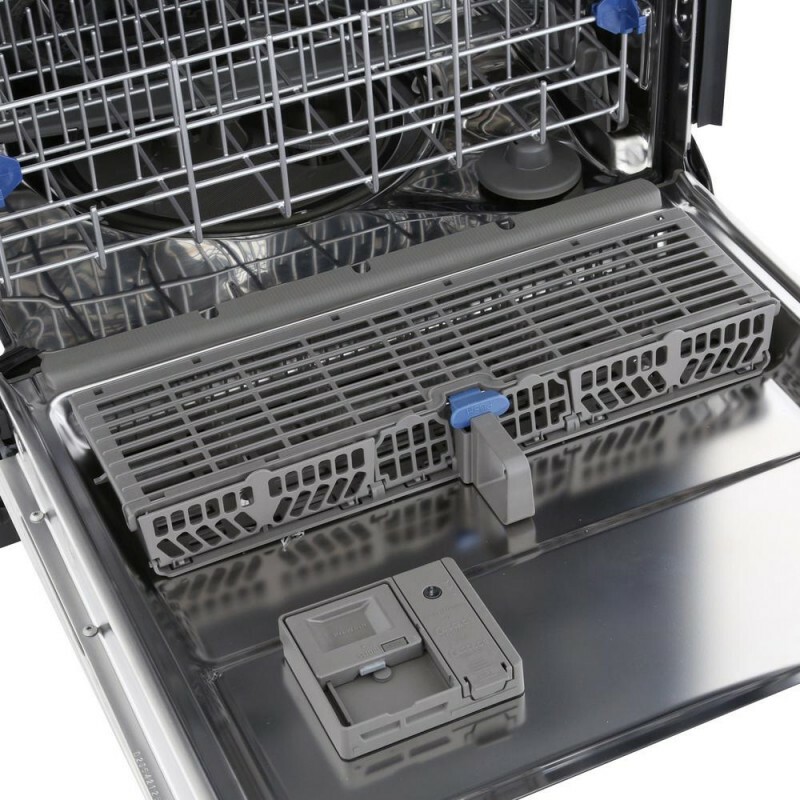 It is a step up from the plastic interior on the Wdt780Saem model dishwasher. It also features a water filtration system, which is automatic, so owners don't have to do the cleaning themselves. The machine has a heavy-duty wash, quick cycle, and automatic soil adjustment settings. This adjustment ensures it will remove stuck-on dirt, with hot water settings. It features a 24-hour delay start. It allows homeowners to set the machine for use during non-peak hours. This feature also helps reduce the total energy consumption when operating the dishwasher. The stainless steel interior helps keep operation noise down, at approximately 57 dBA. The dry heat setting also helps reduce the total drying times after washing dishes in the dishwasher. There are two spray arms on top and bottom, to better dislodge food on plates. The dishwasher also has an Energy Star Certification. So, homeowners know it is not going to cost much for them to operate throughout the year. For those with a tight kitchen, it features a tall tub design. This design means it can fit compactly into tight spaces. It also reduces the overall area taken below the sinks, if homeowners have limits in storage spaces. In comparison to the Wdt780Saem, it is only 18 inches, versus 24 inches. The interior capacity is smaller, meaning it can't fit as many place settings. The dishwasher is also more expensive, so some homeowners are not willing to spend as much. Many reviews indicate it is loud while in operation and dishes rattle. It only has eight place settings, which is about half the settings of the Wdt780Saem model. There are several great dishwashers which Whirlpool manufactures. For those who want the most affordable, accessible to use, and efficiency, the Wdt780Saem is the top model. It has a large internal space at 24 inches. It features adjustable trays and silverware holders. The automatic sensors help reduce wash times, and also remove stuck on foods. The dishwasher doesn't require a pre-rinse since it automatically adjusts for the number of dishes in the machine. It also features the Energy Star Certification, so homeowners know it won't cost much to operate year-round. The device is quiet, at approximately 51 dBA, which is comparable to the other machines on the list. And, it also has the child lock feature. It is the only dishwasher in this comparison which has this design feature. For those who want the latest, modern design, the WDF518SAFM is a good option. Although it is smaller at 18 inches, it is a tall tub model. For smaller kitchens, this is a great design which fits perfectly into tight spaces. It also has the all stainless steel design, inside and outside. This interior finish eliminates harsh odors which machines with a plastic interior lining often emit. The dishwasher does have the smallest capacity at only eight place settings. And, it is also the most expensive. But, for the homeowner who likes the latest model with best technologies, this machine delivers. The increase in price is because of the stainless steel finishes, that are not present in the other Whirlpool dishwashers. 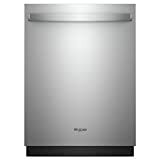 The Whirlpool WDT780SAEM dishwasher is a great investment because it offers a lot of features. These features includes Quick and intuitive touch commands, one-touch cycles, several adjustment options and more. However, compared to other newer models it has lesser cycles.